In Islamic theology, al-Insān al-Kāmil (Arabic: الإنسان الكامل‎‎) also rendered as Insān-i Kāmil (Persian/Urdu: انسان کامل) and İnsan-ı Kâmil (Turkish), is a term used as an honorific title to describe Muhammad. The phrase means "the person who has reached perfection." It is an important concept in Islamic culture of the prototype human being, pure consciousness, one's true identity, to be contrasted with the material human who is bound by one's senses and materialism. The term was originally used by Sunni Sufis and is still used by them, however it is also used by Alawis and Alevis. This idea is based upon a hadith, which was used by Ibn Arabi, that states about Prophet Muhammad, 'I was a prophet when Adam was between water and clay'. Mansur al-Hallaj and Al-Biruni expressed the idea within their works. The concept was also applied by Ibn Arabi, a well-respected and influential Islamic thinker. The origin of this concept is derived from the Quran and Hadith. As mentioned in Ibn Arabi's Fusus Al-Hikam, "Muhammad's wisdom is uniqueness (fardiya) because he is the most perfect existent creature of this human species. For this reason, the command began with him and was sealed with him. He was a Prophet while Adam was between water and clay, and his elemental structure is the Seal of the Prophets." In the Quran, man’s hierarchical status above all beings is seen, as it states that God created humans in the fairest stature. Due to this occurrence the human is favored by God and is said to be given God’s light which leads through them to complete perfection. The previous saying illuminates the idea that behind the true objective behind creation is God’s desire to be known. which is fulfilled through the perfect human being. Al-Insan al-kamil or the perfect being was first deeply discussed in written form by Ibn Arabi in one of his most prolific works entitled Fusus al-Hikam. Taking an idea already common within Sufi culture, Ibn al-Arabi applied deep analysis and reflection on the issue of the Perfect Human and one’s pursuit in fulfilling this goal. In developing his explanation of the perfect being al-Arabi first discusses the issue of oneness through the metaphor of the mirror. In this metaphor al-Arabi compares an object being reflected in countless mirrors to the relationship between God and his creatures.. God’s essence is seen in the existent human being, as God is the object and humans being the mirrors. Meaning two things, that since humans are mere reflections of God there can be no distinction or separation between the two and without God the creatures would be non- existent. When an individual understand that there is no separation between human and God they begin on the path of ultimate oneness. The one who decides to walk in this oneness pursues the true reality and responds to God’s longing to be known. The search within for this Reality of oneness causes one to be reunited with God, as well as, improve self-consciousness. The Perfect Human through this developed self-consciousness and self-realization prompts divine self-manifestation. This causes the Perfect Human to be of both divine and earthly origin, al-Arabi calls him the Isthmus. Being the Isthmus between heaven and Earth the perfect human fulfills God’s desire to be known and God’s presence can be realized through him by others. Additionally through self manifestation one acquires divine knowledge, which is the primordial spirit of Muhammad and all its perfection. Al- Arabi details that the perfect human is of the cosmos to the divine and conveys the divine spirit to the cosmos. 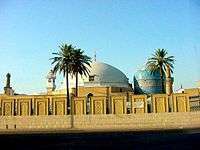 Abd al-Karim b. Ibrahim al-Jili was born in 1365 and was a Sunni Sufi who spent much of his life in Yemen being taught by the Shaiyk Sharaf al-Din al-Jabarti. Al-Jili’s writing al-Insan al-Kamil fi Ma’rifat al Awakhir w-al-Awa’il expounded upon the foundation laid by Al-Arabi by discussing the steps in which are required after becoming the perfect being. Al-Jili insisted that there are three stages for the perfect man. The first entitled (bada’ah) or beginning is when the man is given his divine attributes.Then there is the stage known as (tawassut) when the perfect man being, who is both human and divine, can comprehend both realities and eventually receive all knowledge both seen and unseen. Lastly, the Perfect being is given power that can be used in the natural world and gives him power over any other being. ↑ Leaman, Oliver (2006). The Qur'an: An encyclopedia. Routledge. p. 302. ISBN 0-415-32639-7. 1 2 Glassé, Cyril; Huston Smith (2003). The New Encyclopedia of Islam. Rowman Altamira. p. 216. ISBN 0-7591-0190-6. 1 2 3 4 5 6 7 Little, John T. "Al-Insan al-Kamil: the perfect man according to Ibn al-‘Arabi." Muslim World 77.1 (1987): 43-54.